LISBON — A plaque honoring the service of Maine women veterans was dedicated recently in the Hall of Flags in the Augusta State House. It was designed to honor women veterans of World War I, World War II, Korea, Vietnam, the Persian Gulf, and the continued war on terrorism. 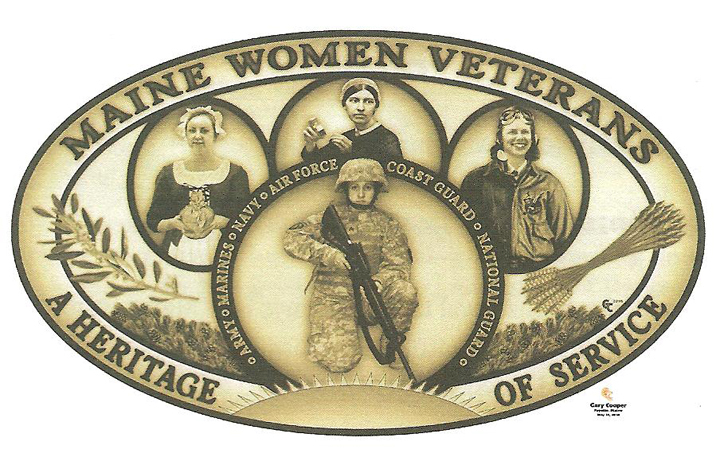 More than 10,000 Maine women veterans and those Maine women honorably serving on active duty, in the Reserves or the National Guard who meet the eligibility criteria are to receive as a gift of appreciation for their sacrifices a commemorative coin in the likeness of the plaque. For those unable to attend the dedication ceremony, others are being organized in local communities. American Legion Post 158, 10 Webster Rd., will host a ceremony at 1 p.m. Sunday, May 22. They are looking for women who qualify for the award and would like to participate in the event. For questions on eligibility, call Mona Naragon at 353-6104 or Bureau of Maine Veterans’ Services at 626-4464. Online memorial information is available at www.maine.gov/dvem/bvs/. The plaque and coin depict Maine women who served in different U.S. military capacities over four centuries. This included Hanna Watts Weston, 18th century Revolutionary War patriot; Emily W. Dana, 19th century Civil War Union Army nurse; Patricia A. (Chadwick) Erickson, 20th century WWII Women Air Force Service pilot; and Annette M. Bachman, 21st c entury War on Terrorism, Maine Army National Guard.